After beginning the 2018/19 campaign with much promise and optimism, it's been a season full of inconsistency and ultimately disappointment for Leicester City. The Foxes have one of the strongest squads in the Premier League on paper outside the 'big six' but under the guidance of Claude Puel the club have yo-yoing between the top & bottom half. The Frenchmen has never really been a popular appointment at the club since replacing Craig Shakespare back in October 2017 and his tenure finally reached it's conclusion after City suffered a 4-1 home hammering by Roy Hodgson's Crystal Palace. That result left them down in 12th position and it was a step too far for the Leicester board, who decided to act swiftly by replacing him with Celtic boss Brendan Rodgers. It's the Northern Irishmen's first job back in England since departing Liverpool four years ago and in that time he's really enhanced his reputation north of the border. The Bhoys dominated domestically under him and he'll be hoping to make a big impact in what will be his third Premier League job. 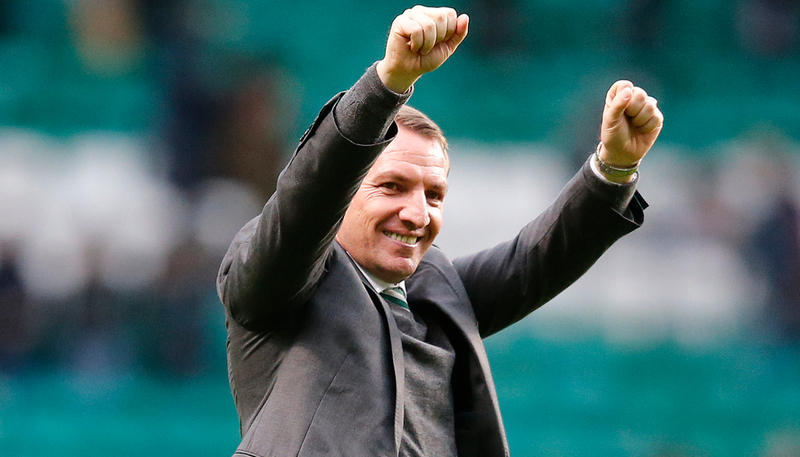 It was a move that surprised a few people but it looks like it could be a fantastic fit if Rodgers can replicate some of the success he achieved with Swansea, Liverpool & Celtic. It was a bit of a gamble by both parties to get this move over the line but it's one that makes sense, with the Foxes wanting to play winning, attacking football. Rodgers has a good track record on that front but after being out the Premier League for a few years he has a bit of a point to prove. He'll feel that he has unfinished business in the top flight so it's going to be interesting to see how this one pans out. Do you think he'll be a success back in the Premier League? This perhaps seems an obvious one but with the form that Leicester City have been in recently, but it's imperative that they start picking up positive results soon. The Foxes have won just one of their last 8 matches (losing 6) in all competitions which incidentally on Tuesday after Puel's departure and Rodgers' move was confirmed. It wasn't the most convincing of performances from City to defeat struggling Brighton 2-1 at the King Power Stadium but importantly it lifted that baron run without 3 points - which will really please the new man at the helm. Goals from Demarai Gray and Jamie Vardy did the damage and ensured that Rodgers would be entering a much more positive environment on his first day at work and he'll be hoping for more of the same in the coming weeks. Leicester have a tasty run of fixtures to come against the likes of Watford (A), Fulham (H), Burnley (A), Bournemouth (H) and Huddersfield (A) which gives them a real opportunity to get some points on the board. The fixture list would've undoubtedly had a major part to play in the timing of Puel's departure and the win over Brighton will give them a timely boost going into that run. Last season the Foxes finished in 9th position and it's still not out the question for them to finish there again this time around, with them just two points behind Everton who currently occupy that position. The aim however will be to be the best of the rest outside the 'big six' which means catching Wolves and Watford on 40 points which would represent a great end to the campaign and give them some real momentum heading into the 19/20 season. Since returning to the Premier League back in 2014 the King Power Stadium has always been seen as a difficult place to go. 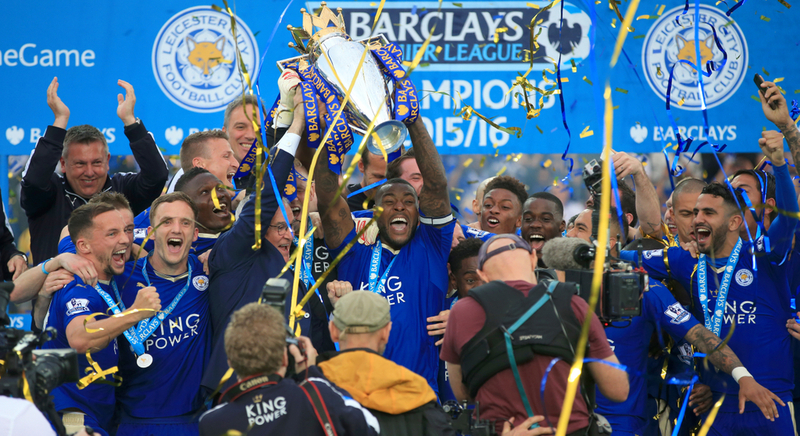 Going to Leicester you know that you're always going to have to work hard to get any points which has seen them record a fair few scalps over the years - along with of course winning the Premier League title. In their unbelievable title winning campaign the Foxes picked up a league high 42 points on home soil, losing just 1 of their 19 games. Things obviously haven't gone as well since with a points hauls of 34 in 2016/17 (which is still a solid return) and 27 last year at the KP, but this year has been something of a sorry affair. With 5 games left to go at home the Foxes have managed to accumulate just 17 points there, which is amongst the worst in the PL. Only Southampton (15), Fulham (15), Crystal Palace (13) and Huddersfield (8) have picked up fewer points in front of their own supporters and it's something that needs addressing ASAP by Rodgers. If they can get some consistency at the King Power they will soon climb up the table and really raise the spirits around the club and get the fans back on board. Results this season at home make grim reading, with them failing to beat the likes of Burnley (0-0), Cardiff (0-1), Southampton (1-2) and Crystal Palace (1-4) - all sides who're below them in the table. But wins over Wolves (2-0) and more so Champions Manchester City (2-1) prove that on their day the Foxes are capable of beating anyone in the top flight, it's just a case of making these performances much more regular & with games against Fulham and Bournemouth to come they have a big opportunity to get a couple more wins under their belts. This won't make good reading for Leicester City supporters but it's something that needs to be done for the club to progress. Leicester City's title success in the 2015/16 was one of (if not the) greatest sporting achievements this country has ever seen and every member of that squad deservedly has legend status in the city. But with some of them not getting any younger it's time for the club to look into replacing them as they move into a new era. Claude Puel began this process last summer by allowing fans favourites such as Leonardo Ulloa and more so Robert Huth both to depart the club, but more changes need to be made. Players such as Shinji Okazaki, Christian Fuchs, Danny Simpson and club captain Wes Morgan have found appearances limited this season and despite the obvious emotional attachment it's time to blood in new and younger players. 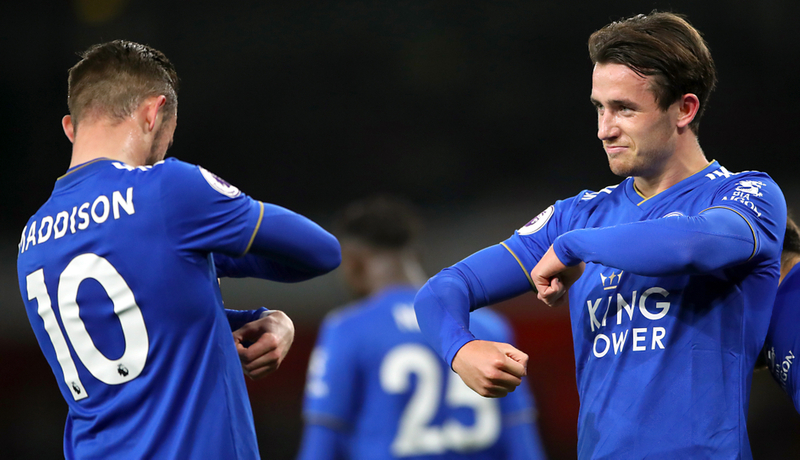 We've already seen a changing of the guard this season with the likes of Ricardo Pereira, Ben Chilwell and James Maddison all coming into the side and putting in some promising performances - which should improve under the guidance of Rodgers. The 46 year-old has a strong reputation in the game for bringing through young players and coaching which will be music to the ears of the current crop of Leicester players - but should also make the Foxes an attractive proposition for potential new arrivals. But for the likes of the four mentioned above who're all well into their 30's, we're expecting them to find game time limited as we approach the end of the season. Coming in at this stage of the campaign with relatively little to play for gives him the opportunity to try out some new systems and partnerships going into the new campaign, but we're expecting to see him very active in the summer transfer market as he looks to make the squad his own. Leicester City's squad does contain some players who are currently in the twilight of their careers, but they also have a crop of exciting young players. Brendan Rodgers began his career in football as a youth coach with Chelsea back in 2004 and he has a reputation for nurturing and bringing through youngsters, which is fantastic news for Foxes fans. The likes of Ben Chilwell, James Maddison, Wilfred Ndidi, Kelechi Iheanacho and Demarai Gray have all been afforded regular game time but playing in Puel's often pragmatic system, they haven't been given too much license to express themselves - something which will definitely change under Rodgers. The 46 year-old favours free-flowing attacking football which means lots of goals - at Liverpool in 166 matches they scored 293 times whilst Celtic bagged an incredible 377 in just 169 so expect plenty of excitement. This year has also been a breakthrough one for academy graduates Hamza Choudbury and Harvey Barnes, with the latter revelling on loan at West Brom for the first part of the campaign. The pair have looked right at home in the first team and under the new man at the helm there's no reason why they can't go on to cement a regular spot in the starting XI. But one player we're really excited to see develop at the King Power Stadium is Maddison - who's looked a class act in his debut season at the club. Arriving from Norwich City for £20m last summer, the classy no.10 has made a big impact and has cushioned the blow of losing talisman Riyad Mahrez to Manchester City. Technically gifted and equally as hard working, Maddison has all the attributes to make it to the top and after seeing the pivotal role that Rodgers played in Philippe Coutinho's development at Liverpool, there's no reason why he can't replicate that. Wes Morgan, Kasper Schmeichel, Robert Huth, Danny Drinkwater, Christian Fuchs and Danny Simpson have all become icons for Leicester since winning promotion back to the top flight and of course lifting the title back in 2016 - but the main man who immediately comes to mind is Jamie Vardy. 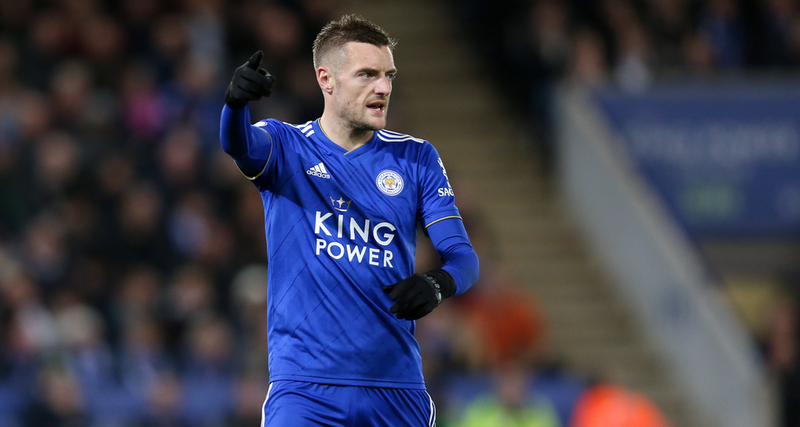 Now at the age of 32, Vardy is still producing consistently for the Foxes and he's someone who really epitomises the never-say-die ethos at the club. The forward has really seen it all in his career, working his way up the football ladder from non-league with Stocksbridge Park Steels, Halifax then Fleetwood before making his big move to Leicester - he's an inspiration for semi-pro footballers and youngsters around the country. His pace and determination when leading the line make him an absolute menace for any defender in the Premier League - he's someone we would not like to try and contain! The Foxes have him tied down for pretty much the rest of his career which is fantastic news for their supporters who absolutely love him, but his goal return this year has been a little bit disappointing. He's on course to register his lowest return since his Premier League debut campaign (5) after notching just 9 this year, which again hasn't been helped by Puel's previous system. Vardy thrives off playing on the shoulder, utilising his pace and seeing the number of goals that Liverpool scored under Rodgers with Suarez and Sturridge up front, it will give him encouragement that the net will be bulging much more. He's looked an isolated figure up front on his own at times this season but he should get plenty more support under the new regime from the likes of Barnes, Gray and Maddison. Rodgers has also favoured a front two at his previous clubs too which could mean good news for £25m man Kelechi Iheanacho who's yet to really ignite his Leicester career since arriving from Manchester City. Just 4 goals in 44 appearances isn't good enough for a top flight striker but at the age of 22 and having someone to learn from like Vardy, he still has time on his head to come good at the King Power.